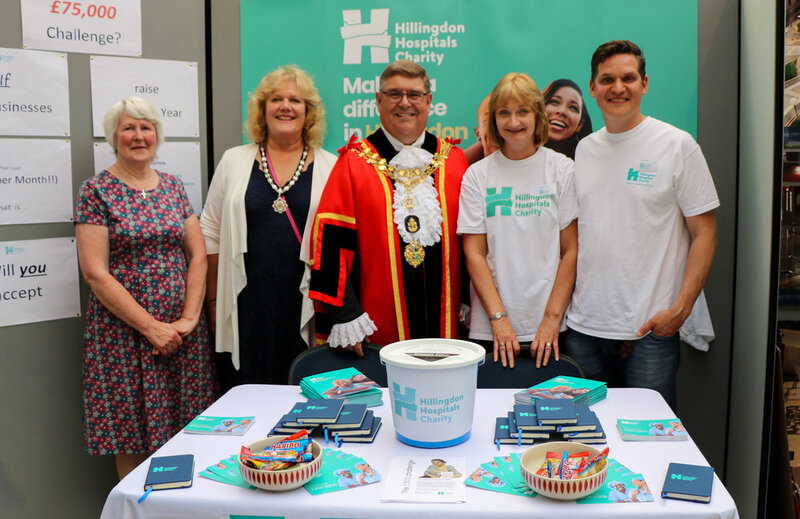 20 years ago when the charity was set up to support the two hospitals in the borough of Hillingdon, Hillingdon and Mount Vernon hospitals. The Charity has 4 main objectives; to improve our patients' experience in our hospitals, to enhance the hospitals' environments, to develop our staff and volunteers, and lastly to support innovation in healthcare. Isn't it the job of the NHS to do this? Yes and no - The NHS support and fund all the core activities in the Hospitals, the Charity raises money to help out with the extra things the NHS wouldn't fund. For example, we are buying two reclining chairs for relatives who want to spend the night at the bedside of their loved ones; we help fund educational away-days for parents and carers of young people with diabetes; we provide toys and electronic devices for children on the paediatric wards. Where can you find out more? The Charity office is in Hillingdon Hospital, on the ground floor near main reception, please feel free to visit us.